Parents can testify that trying to get kids to eat vegetables can be comparable to Chinese water torture. These kid-approved Brussels sprout recipes are a must-try! 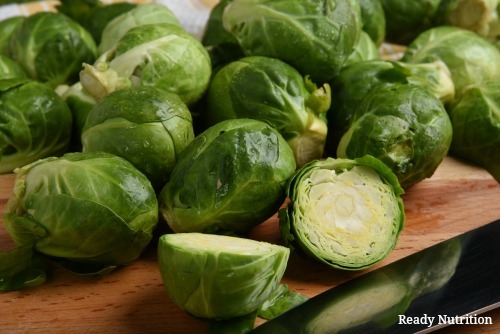 Brussels sprouts are an excellent source of protein, iron, and potassium. In addition, they contain immune-boosting and bioprotective ingredients including Vitamin C (which prevents cellular damage), fiber (for lowering risk of heart disease and stroke and maintaining the digestive system), folate (which reduces your risk of heart disease), and antioxidants. Unfortunately though, Brussels sprouts aren’t the most appealing or glamorous vegetable, probably because when they are overcooked they become a slimy, bitter mess. I didn’t enjoy Brussels sprouts until college and even then only after coming across a restaurant that served them in a rich bacon butter. Studies show that it’s not uncommon for certain complex flavors to slowly be acquired over time. It may take up to eight times tasting a food or drink before you begin to like it. (Think about kids’ reactions when they first encounter coffee, beer, or sushi and you’ve got a pretty good idea about this phenomenon.) But kids who are exposed to and try a wide variety of vegetables on their plates (even if they don’t always finish them!) have better lifetime eating habits, as they will acquire those difficult/unusual tastes earlier. We regularly cook Brussels sprouts at our house. My kids don’t always clean their plates, but the following recipes are pretty great at getting them to eat a few bites of this highly nutritious veggie. As an added bonus, two of these dishes will take you less than 15 minutes to make from start to finish. Remember what I said about the bacon trick? This dish makes use of a little bit of bacon and a handful of raisins to add a rich, complex. Kids who love a little sweetness will appreciate the flavor balancing that happens in this hearty side dish. Goes great with a steak. Heat oil in a large heavy skillet over medium heat. Add bacon and cook until crisp. Transfer bacon to paper towels to drain and let cool. While bacon cools, add Brussels sprouts to drippings in skillet; season with salt and pepper. Cook, stirring often until sprouts are golden brown spots and getting soften, (about 5–7 minutes—be sure not to overcook as they will start to get slimy). While sprouts are cooking, crumble bacon. Reduce heat to low and add raisins and butter. Cook for a minute of two until flavors combine. Add broth to skillet; increase heat and bring to a boil, scraping up browned bits from bottom of pan. Reduce heat to medium-low and simmer until broth has evaporated, 1–2 minutes. Stir in vinegar and crumbled bacon. Season to taste with salt and pepper. Kids like to eat chips because they are salty and easy to eat (and if they’re prepared correctly you can’t tell a vegetable is involved at all). Like kale chips, Brussels sprouts chips are just as yummy and easy to make. They’re also a great way to repurpose the outer leaves of the sprouts that tend to fall off when cutting off the stems. Toss outer leaves of sprouts in olive oil and salt. Spread on a parchment-lined baking sheet (honestly, I’ve done this directly on a cookie sheet when we’re out of parchment—they are a little less crispy but still very good). Roast for 5 minutes at 400 degrees (check often because they brown quickly!). And that’s it! My kids inhale these without even making the connection that they are a healthy veggie. As I mentioned before, one of the biggest issues with Brussels sprouts is overcooking—this recipe serves them raw, thereby completely avoiding that pitfall. It’s also a complete meal when necessary and most ingredients can be customized with whatever you have in your kitchen. For the salad: First, shred the Brussels sprouts. You can do this with a mandoline, a knife, or even your fingers (in a pinch). Just make sure the pieces are tiny. Next, add whatever nut you prefer–my kids love almonds, but pecans, walnuts, or pistachios can also work. Now add in dried fruit. We prefer cherries, but chopped apples or raisins would also be great. For the dressing: Whisk together olive oil, vinegar, garlic, mustard and honey and drizzle over the salad. Stir to coat and finally sprinkle some Parmesan cheese over the top to add some complex saltiness. You can even use shredded cheddar or Gruyere (or really any cheese you have on hand that your family enjoys).